Voice in the Suitcase by Margaret Sutton. Illustrated by Pelagie Doane. New York. Grosset & Dunlap. 1932. Hardcover. Good with no dust jacket. Edgewear. Front endpaper is missing, small surface tear on front cover. Red tweed cover. Judy Bolton Mystery 8. 215 pages. 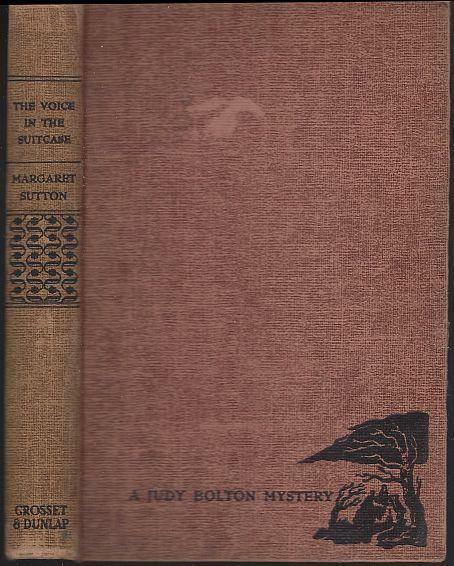 Items Similar To "Voice in the Suitcase by Margaret Sutton Judy Bolton Mystery #8 T..."